The TraffiSection stationary section control system measures average speed. It is one of the best traffic monitoring systems for reliably improving traffic safety over long sections of road that represent dangerous zones. Improve traffic safety and reduce the risk on dangerous sections of road! 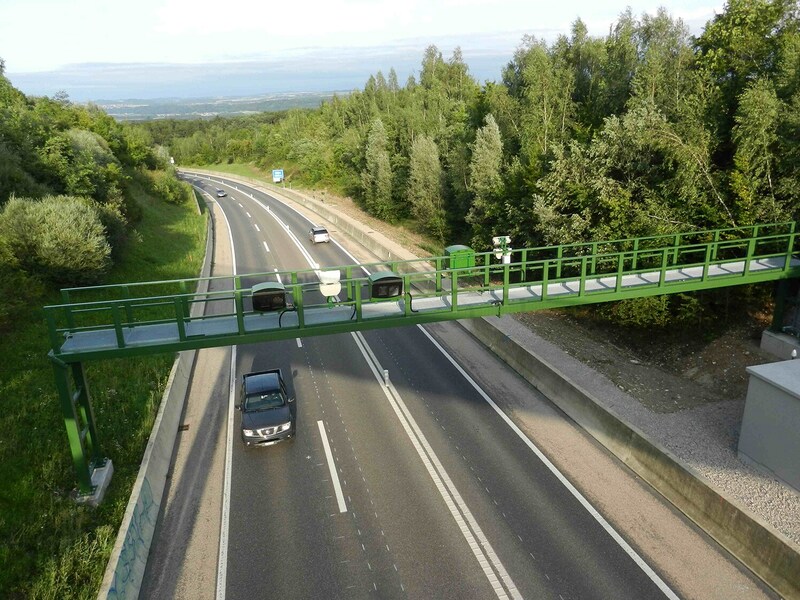 The TraffiSection stationary measuring system helps to improve safety for road users on dangerous sections of roads in tunnels, on bridges and on highways. The TraffiSection system detects the average speed over a specific section of road. Speed measurement begins as soon as the vehicle enters the relevant section of road and ends when the vehicle exits the section. Using time over distance, the system automatically calculates the average speed and saves the incident only if the permitted speed limit has been exceeded. If required, high-resolution driver photos can also be captured for each speed violation to enable accurate identification. Average speed enforcement is regarded as being completely fair because the system only detects drivers who have driven too fast over the entire section. A high-resolution driver photo can also be generated if required and is suitable for use as evidence in court. This data can be supplemented with a tailgate photo of the vehicle. The system has a modular design and can be tailored to meet your requirements. For example, several lanes can easily be monitored or several entrances and exits be networked on a section of road. If required the system can be connected to an existing network of variable message/speed limit signs. By classifying vehicles, TraffiSection can apply different speed limits to different vehicle classes, e.g. cars and trucks. Fair and reliable: Measures the average speed over a long section and improves safety in dangerous zones. 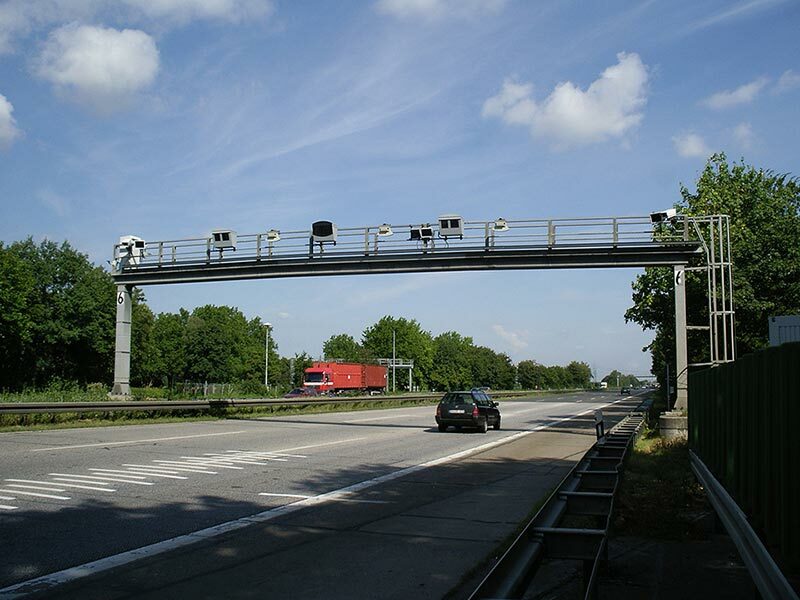 Flexible and modular: Monitor single or networked sections of road and up to eight lanes. User-friendly: Enables simple maintenance without road closures. Court-approved photographic evidence: Supplement the high-resolution tailgate photo with an optional driver photo. Traffic safety: Use the stationary section control system to measure average speeds and improve traffic safety over long sections of road. 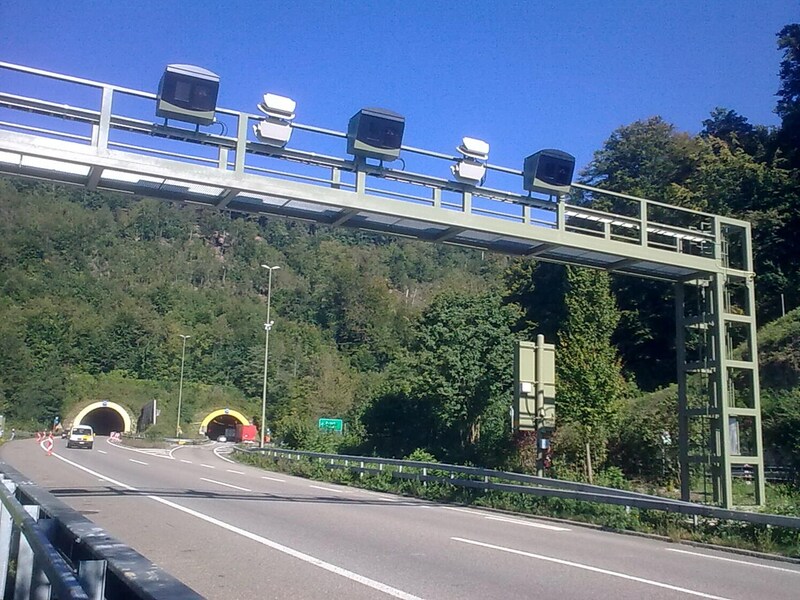 TraffiSection is already being used successfully in Switzerland and approved for use by the Federal Institute of Metrology (METAS) and in Austria by the Federal Office of Metrology and Surveying (Bundesamt für Eich- und Vermessungswesen — BEV). TraffiSection VECTOR P2P speed measurement systems enforce speed violations using the average speed between two points on a section of road.